Walmart is starting its own ebook reader and audiobook services, the retail giant is announcing today. It looks like another battlefield between the brick-and-mortar Walmart and ecommerce king Amazon, which owns Kindle. The retail giant is offering ereaders working with its Japanese ecommerce partner Rakuten, which owns the Kobo ereader. Big in Canada and in Asian markets, Kobo is the second largest ereader brand worldwide. But it hasn’t had much presence in the U.S. until now. Mario Pacini, general manager for entertainment for Walmart eCommerce in the U.S., announced the new services, officially titled Walmart eBooks by Rakuten Kobo, in a blog post. Walmart today began offering the Kobo readers, priced at between $99.99 and $229.99, online. The least expensive model, Aura, will be available in 1,000 Walmart stores later this week. Walmart ebooks can also be accessed via Android and iOs apps, beginning today. At the same time, Walmart is also taking aim at Amazon’s Audible audiobook business with its own audiobook subscription service. It will cost $9.99 a month and include one audiobook a month. The Kobo ebook library, Pacini writes, includes six million titles. 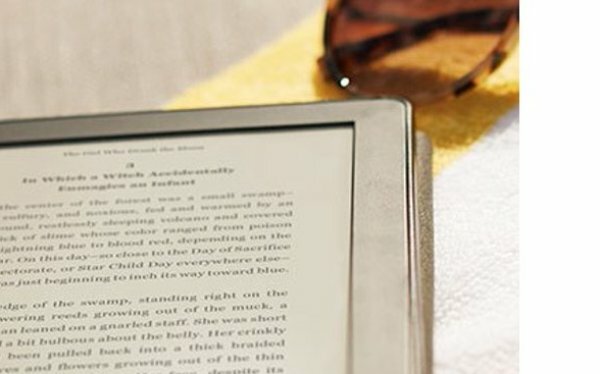 Amazon’s Kindle has between 5 million to 6 million, according to various accounts. Amazon doesn’t report that number. But Amazon owns the category, and its empire started by selling books online. Kindle controls more than 80% of the market. The rest goes to Barnes & Noble’s Nook and Apple. Still ebook sales for the last few years have been flat at best. So it would seem Walmart will enter trailing the pack. But symbolically, at least, the new Walmart ebook business, rumored for the last several months, seems to send a signal Walmart wants to be everywhere Amazon is. And with 6,000 stores, it will certainly be more physically handy than Barnes & Noble’s 600 bookstores. “We’ve been hard at work expanding our assortment on Walmart.com overall -- from dramatically growing our product assortment in the baby category and announcing a new fashion partnership with Ellen DeGeneres to introducing entirely new categories like the one we’re unveiling today,” Pacini says in his blog post.